Do you ever have difficulty approaching or reducing long bone fractures? 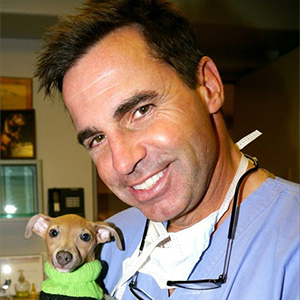 Many courses teach the principles of fracture repair using plastic bone exercise only. This course will also use plastic bones to teach methods of fracture stabilization and hands-on exercises will also be used to show you how to perform the perfect surgical approach, tips on successful fracture reduction and repair simple and challenging comminuted fractures using simple and reliable techniques. 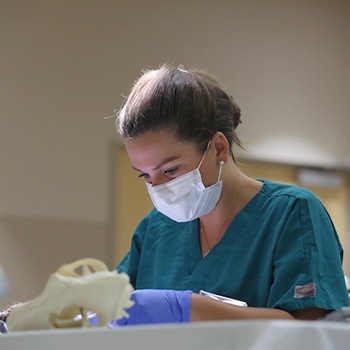 In addition, postoperative radiographs will be taken to assess the participant’s repair technique, a powerful and important learning tool. Participants will have the opportunity to repair fractures using traditional plates, locking plates, lag screws, pin and tension band and headless compression screws. Locking plates and screws (also known as internal fixator) simplify treatment of long bone fractures in small animals. This implant system is easy to use, great for the general practitioner and affordable. The internal fixator shares the convenience of the external fixator without the hassles of postoperative management. During this course participants will familiarize with the implant system through lecture and clinical case presentations. Following lecture and case review, participants will repair fractures bone models. Postoperative management will also be discussed. Postoperative radiographs will be taken to assess the participant’s repair technique. This course is appropriate for specialists, residents, interns and general practitioners with an interest in improving their orthopedic knowledge and skills. This course is appropriate for specialists, residents, interns and general practitioners with an interest in improving their orthopedic knowledge and skills. Increase confidence levels when performing various soft tissue and orthopedic surgery procedures.